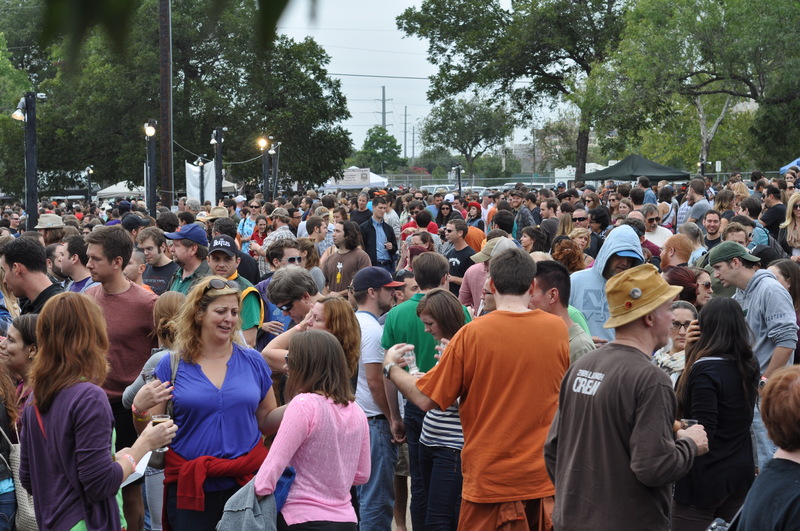 Last weekend Austin, TX welcomed brewers from all over Texas to Fiesta Gardens for the 2018 Texas Craft Brewers Festival. 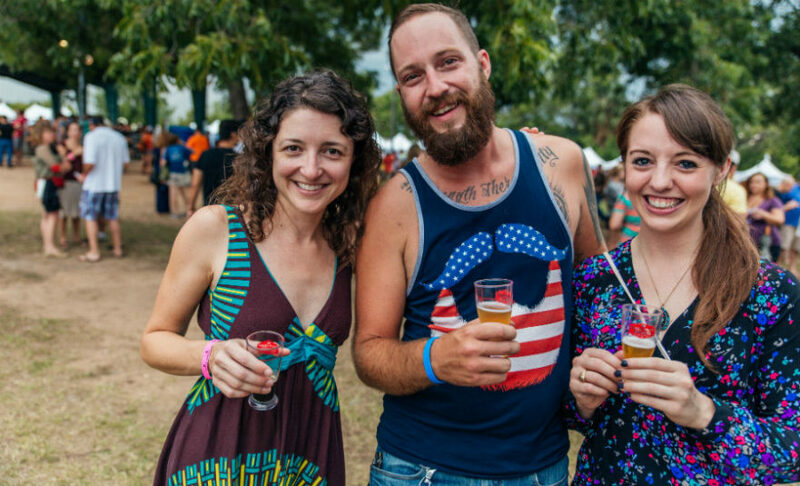 Brewmasters and beer lovers came together at the festival to sample ungodly amounts of beer and delicious local food. The event ran from 12-6:30 on Saturday and was of course only open to those age 21 and up. We spent a solid 3 hours at this festival trying as many tasty and interestingly-named beers we could get our hands on, and left feeling full, satisfied, and more than a little tipsy. We sampled a variety of beers, from “No Way Rose” by Deep Ellum Brewing in Dallas to a delicious Scottish Ale by Brigadoon Brewery and Brew School, to an endless amount of IPAs, all of them smooth and hoppy. The festival featured over 1,000 different types of beer, with a style for nearly all drinkers, beer-lover or not. There were some specialty crafts that could only be sampled at certain time during the festival, so if you wanted any of those you had to follow a “rotating tap” schedule and show up at that particular brewer’s tent at the right time. We were able to make the very end of two of the rotating taps and taste some without waiting in the long line that inevitably formed at each scheduled tap. These were good. The festival also featured a nice variety of food options, with many local Austin restaurants and food trucks setting up tents. We had to try some gourmet grilled cheese from Burro’s Cheese Kitchen, a delicious and melty treat that helped keep us thirsty for more beer. We also tried a pulled pork and cheese arepa, from a Venezualen food stand that was outstanding. The combination of hot, cheesy food and refreshing beers made for a truly enjoyable experience. Oh, and the brewers were friendly as can be and the festival drew a great crowd. What else can you expect when you bring a bunch of people together to drink as many different beers as possible and eat food from one of the best food cities in America? We would definitely attend the festival next year to find out what news brews it has to offer and just to have a good time. Good luck to all the breweries out there, they deserve it for supplying us all with such a delicious, refreshing experience.